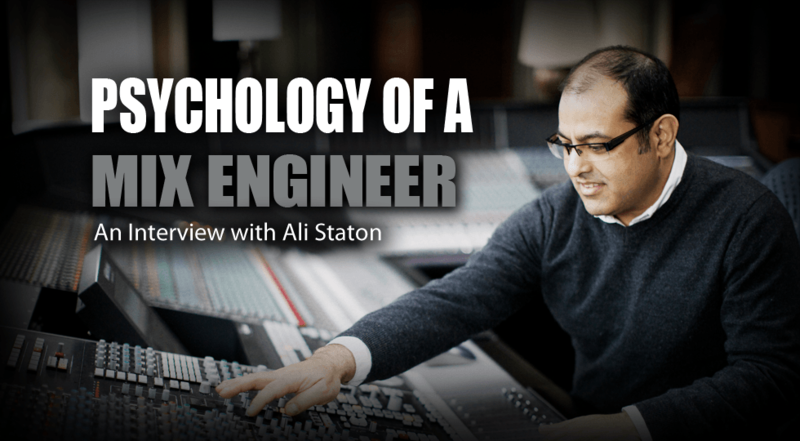 Ali Staton is a UK based mix engineer and producer, he has worked with a diverse group of artists including Madonna, Seal, Razorlight, Lamb and Rufus Wainwright, successfully combining work on both critically acclaimed and high profile pop projects. He has built an enviable reputation working alongside producers including Stuart Price, The Neptunes, Gary Katz, Georgio Morodor and Damian LeGassick. Albums he has worked on have gone on to receive a Grammy nomination for Seal’s album ‘System‘, won a Brit Award for Daniel Bedingfield’s ‘Gotta Get Thru This’ and a Mercury Music Prize nomination for Tricky’s ‘Maxinequaye‘ as well as many Multi-Platinum awards. Recent projects include production on the latest Turin Brakes album ‘We Were Here’ recorded at the legendary Rockfield Studios. Currently he is co-producing the forthcoming debut album from Northern Sky, programming for La Roux, and mixing tracks for up and coming UK artists Stats and Sasha Keable. Other notable artists Ali has worked with include: M.I.A, The Wanted, Mika, Rihanna and many more. I started in the UK, in the early 90’s, as an assistant so I’ve been around a fairly long time now [Laughs]. I came up the traditional way; running, assisting, second engineer and then eventually I got a break. At around the age of 15-16 I played drums in school, one of my friends was also a drummer and he went on to become a professional musician, he was incredible and remains a fantastic drummer, and I think soon after I realised that maybe my drum skills weren’t my strength and I should look for another way to maintain a career path in music which is what lead me to studios. I wrote letters to the established studios in London, at the time, in hope of finding a job somewhere and eventually I got a break at a really small studio in South London where I learned the basics. Then I ended up getting a job in an large SSL based studio, where I was an assistant for a few years, working and learning from established producers and engineers. All of this experience led me to working for Island Records in their St. Peter’s Square Studio, The Fallout Shelter. They were one of the few record companies left in the 1990’s that still had their own recording studio and I became their in-house engineer. It was an SSL 4000E room with a Studer A80 24 track tape machine and this was all pre Pro Tools. One day I could be working on a demo for a band that the label were interested in signing and the next day I’d be recording for one of the more established acts like PJ Harvey. It was a fantastic opportunity to work on a variety of music within a label structure. I was really left to my own devices and people trusted me [Laughs]. Do you think that working for Island Records is where you really sharpened your skills to become the engineer that you are today? I guess so, yeah. I was really focused on being a good recording engineer but the nature of the job at Island was such that I did end up doing a lot of mixing. Sometimes it would be catalog work where they wanted to release a new mix of a Bob Marley track, and at other times it would be new and upcoming acts. In fact I mixed tracks for Tricky’s debut Maxinequaye album quite early on after starting at the studio, and this helped to get me noticed. Island would give new artists a break by giving them development deals and allowing them access to the studio, which would include me. 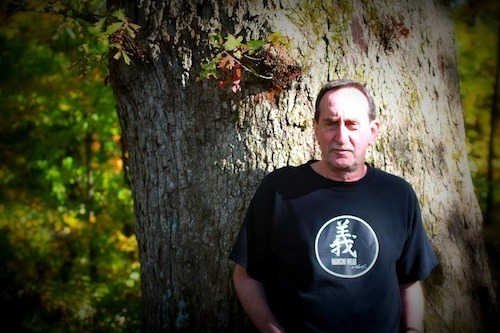 I got to work on projects at a very early stage and develop relationships with artists and producers including Gary Katz (Steely Dan) and Lewis Taylor, some of those records did go on to become quite successful. I guess once you have a bit of a profile and some success then it becomes easier to get similar opportunities. So moving on to an older record that I wanted to ask you about and I think I was in high school at the time when this came out [Laughs]. You were credited as a Producer on Daniel Bedingfield’s “Gotta Get Through This” but did you also do any mixing on that record? Also, what was the experience like? Yes, I did some mixing on it. The single “Gotta Get Through This” had already been completed and released before he signed to Polydor which was his label for the album. I guess he stipulated in his contract that he wanted to produce the album, and I think the record company wanted somebody with a bit of experience who could help guide that process, so I came in after he had released the single. We went off to a residential studio, outside London called Jacobs to start recording it. Really I think most of my credit is “co-producer” with Daniel but I did record the most of the album and I mixed some of the tracks. What does your mixing set up consist of today? How much are you in-the-box or out-the-box? 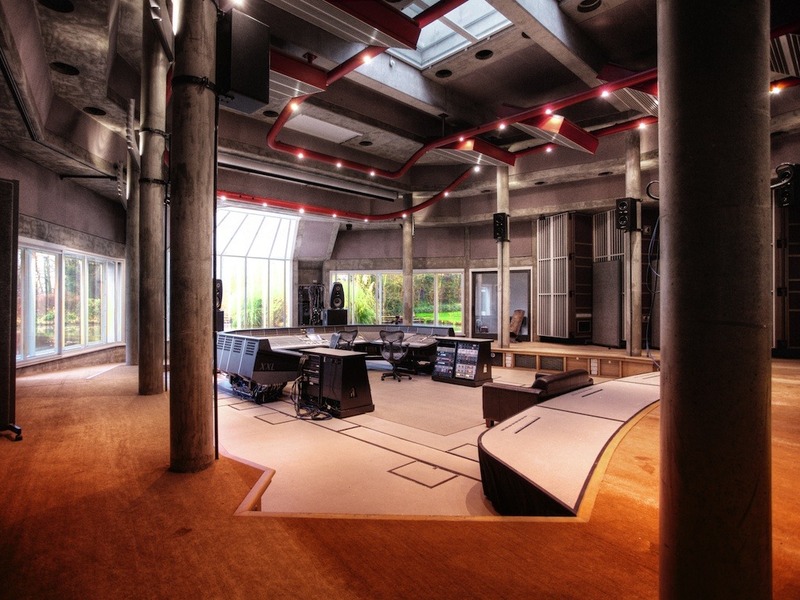 I’m based at Real World Studios, it’s owned by Peter Gabriel and located in the English Countryside. It’s quite a special place and I’ve been here about 8 years. I had worked here a few times as a client before moving out of London. Real World is about 100 miles west of London so it’s quite a way away from the hustle of the city. I have my own room based around a Pro Tools HD3 system and an ICON Control surface. In the main studio at Real World is an SSL 9000k series and I do stuff between the two so for recording I’ll be on the SSL in the main room and at other times I’ll be on my own set up mixing. It mostly depends on the budget of the project that I’m working on. The process has changed a lot since I first started. You would do a mix in a day and that would be it. But now, often people will want to do recalls, stems, tweaks and all that stuff I’m sure you know about. I basically work both ways, where I do a lot of mixing in the box, it’s sort of a hybrid set up. I don’t have a summing box or anything like that but I do have some outboard gear, like Valve EQ’s and compressors that I’ll use as hardware inserts – straight into my interface. Do you ever do any mixes that are 100% in-the-box? Oh yeah absolutely, all the time! I’ve probably spent like 4 or 5 years now, working like that. There’s a great American mixing engineer named Tchad Blake who worked at Real World, I got to know him and he was kind enough to invite me up to his studio, he was well known as being “Mr. Analogue” but he switched over to working fully in-the-box, so I took inspiration from his switch and made the transition myself some time ago. So then do you think we are now in a time where the sonic differences between mixing in-the-box vs. out-the-box is very minimal? 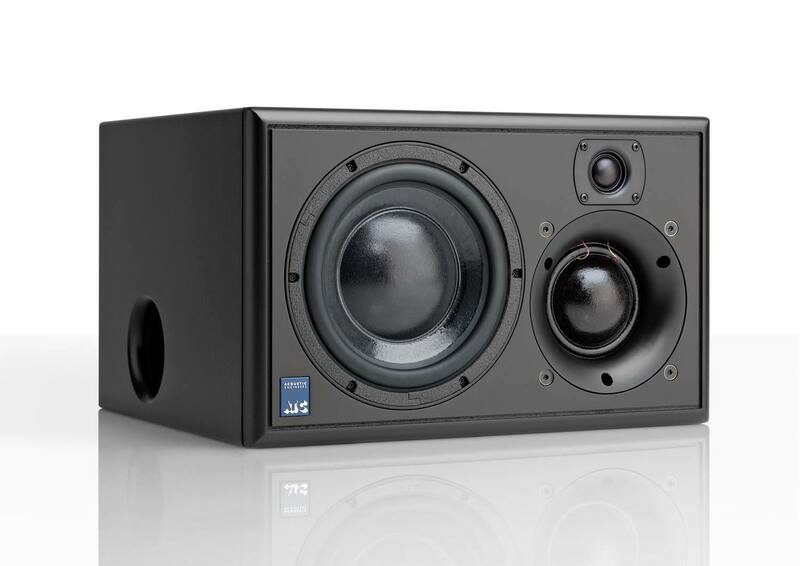 I don’t really feel there is a massive difference sonically. The distinction for me is not so much sonic but rather the workflow. I hate looking at screens, that’s a big negative for me and even though I have a control surface I still have to look at the screen some of the time. I will switch them off when I’m mixing, as much as I can. When you’re working outside the box, it’s not an issue because you aren’t looking at a computer screen; you’re just focusing on the sound and the space between the speakers. I still prefer the spontaneous and instinctive nature of that because you’re eyes aren’t competing with your ears. But now with the ICON, I got faders, pan pots and EQ’s at my finger tips so I’m not manipulating the graphical interface of a plug-in on screen, using a mouse because I find that really difficult. Your eyes take over and you’re not really listening with the same intensity and focus. That’s what I try to avoid as much as I can. When you put it like that it makes me want to get a control surface because I feel like I mix better with plug-ins that are less graphical like the analog models which also show less numerical values as well. Yeah and the thing for most people I guess is that our eyes are our most dominant sense. No matter how hard you try, you do end up (like you said) looking at numbers. When I was mixing on an SSL or Neve I would never know how much EQ I was applying because all I was doing was turning the pot and listening. If someone asked me what I did, I would have to look down at the EQ. I might say “Oh it looks like I added 3.5 dB at a 100Hz” but I would never know that because I would just be turning the pot until it felt right. I guess that’s the big difference, that you are directed by your eyes. 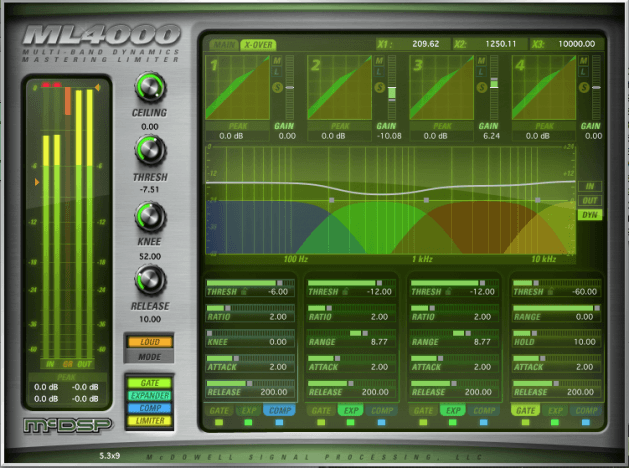 A lot of plug-in EQ’s will also show EQ curves that are altering in real time which I absolutely hate. I really don’t want to see what the curve is doing; I just really want to focus on listening. So again, the ICON for me is a good compromise because I can switch off the plug-in interface and just turn the pot. I should also mention that mixing in the box also takes me a little longer than it used to on a console. There are two reasons; one is that the track counts have gone up in DAW’s. Obviously when I started it was an analog 24 track tape machine and if you were in a really big studio, you might have two 24 track tape machines synched together, so you’d have 48 tracks. Nowadays I’m getting multi-track sessions in Pro Tools that have over 100 tracks. Just doing the housekeeping, as a mixer receiving a session that you’ve never heard before, plus labeling and organizing, makes the whole process take a lot longer than it ever did when I was working exclusively on a console. That’s a different part of the job now which wasn’t the case before. You mentioned earlier about the space between the speakers. I feel like I’m not only listening to the sound but I can also see the sound in front of me, sort of like a picture. Do you visualize the sound in front of you or do you just go by feeling alone? Yeah completely! I don’t do this quite as much as before but I would even go as far as to do a little doodle that would have my panning and my positions laid out in a 180 degree arc. Like should the vocal be in front of the snare or should the snare be the definitive thing like an R&B track where it would have more crack. I would actually draw it out to do exactly what you describe – to keep that picture as a constant. Instead of just having to imagine it all the time I would actually write it out so I wouldn’t lose sight of what my first instinct was. So yeah absolutely, I do exactly that. Were there any particular records you heard, when you were younger, that inspired you to become a mixer or at the very least, records that made you want to step your game up? Oh all the time, it still happens when I hear records today. I buy a lot of music and I still buy CD’s even though everyone is streaming and downloading. The list of records that inspired me and continues to inspire me is pretty long [Laughs]. I guess I have a lot of the same ones that other people have of my age have, Pink Floyd, Bowie when I was young and then I guess some Radiohead albums I still find inspiring. English bands like Massive Attack made amazing sounding records, and Bjork on the electronic side of things. 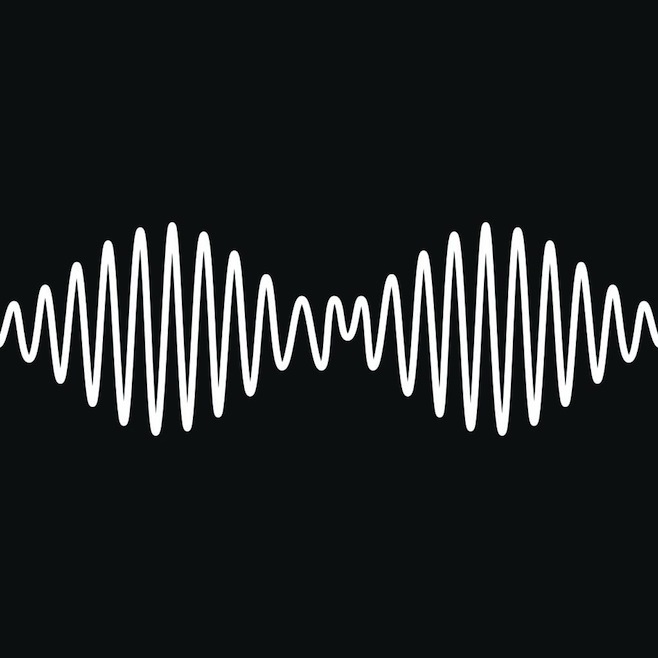 The one that I really love at the moment that Tchad actually mixed is an English band called The Arctic Monkeys, that’s an amazing sounding record. Okay, cool. Now I want to get into the sound of your mixes. The left and right channels seem to be pretty loud but they aren’t stepping on the lead vocal or anything in the centre channel. How are you doing that? Let me see [Laughs]. It’s interesting that you’re pointing that out because I guess I’m looking for a degree of separation but I’m not making a concerted effort to do that. Vocals to me are really important and I know some people are surprised by this but I generally start a mix with the vocals. I know other people start with the drums but normally I’m working on pop/rock music – so vocals are the key. I will start with a vocal and almost always, I will do a lot of rides on the vocal before I even really listen to the rest of what’s going on. I guess to some people that may be backwards because they may mix the instrumental and then pull the vocal in. That may help to answer your question as to why there is some definition to the vocal that sometimes you lose if you approach it the other way around. It’s not just the vocal but the fact that the instruments on the sides are loud, almost as if they are as loud as the vocal but they’re not intruding on the vocal. Yeah, I tend to just use 3 pan positions so hard left, hard right and centre. Sometimes I’ll kick the vocal just off centre because I’ll have the kick drum there, the bass and some other stuff so I’ll often shift it just off, to one side. But generally I only those 3 pan positions in the mix. Part of that is also finding the instrumentation that works and keeps the mix balanced. Sometimes it’s nice to have something on one side that really pokes out but I’ll try to find something rhythmically that I can place on the opposite side so it keeps a stable structure to the image. So if you’re mixing pretty much Hard Left or Hard Right, what would you do if you received a stereo instrument like a piano, for example? I’m not afraid of making things mono, especially with electronic music that is generated out of virtual instruments, soft synths or even hardware synths. You’ll find that the patches will have effects built into them that kind of create a fake stereo. So I receive a lot of multi-tracks these days where people record stuff into Pro Tools but by default they just record everything in stereo even if there isn’t a lot of stereo information in the signal. So when I’m doing my housekeeping I will make decisions, right at the start of the mix, as to whether I think the stereo information in a particular track is actually worthy of keeping or if it would be better for my mix to make it a mono source. Sometimes I’ll just do that, go through each track and make a decision about that. I tend to prefer lots of things in mono then having lots of things in stereo because you experience exactly what you were describing; you lose the definition in the width because everything is fighting each other. I’ll try to only keep the most important elements as a stereo source and I’ll mono everything else and find a place for it. So I’ll try and create the space that way. So tell me about your balancing technique then. Once you get the vocal where you want it do you start to bring everything up and balance or do you do it one instrument at a time? Yeah, I’ll bring everything up and balance it around the vocal. The vocal is like the script of the track and it’s the thing that the listener general tends to focus on – it’s the thing that pulls you in. I’ll try and find an atmosphere where I’ll put effects on the vocal and they might change as the mix develops but I’ll try and find where it is that I want the vocal to go. Not just in terms of its EQ and where it sits but also the space that it sits in. That obviously has an effect on how you treat the other elements as you start bringing them up. You’re defining the journey from the start by focusing on the vocal. Speaking of Effects, you have a very tasteful way of putting them on your records. What are your go-to effects? If I’m working in-the-box, I’ll tend to use a lot of the Soundtoys plug-ins. I use Decapitator and Echoboy a lot and for all kinds of reasons, not just for delays and distortion. But for reverbs with very short delay settings to create a bit of space and as a tone control with Decapitator. I like to feel the effect but not really hear it. I want it to have the impact on the sound that I’m going for but I don’t really want to hear the splash of the reverb on the vocal or a snare. I just want it to enhance the sounds so I try and make the effects relatively invisible so that your ear isn’t being distracted. Unless there’s a spin that I want to be a feature than of course I’ll do whatever it needs but generally I try and err on the side of keeping the atmosphere and the space that I want in the track without the effects being dominant. I also noticed that you have a nice high end to your mixes. How do you go about getting that nice top end without going over board and making it sound harsh? Yes, I guess some of that is just how I hear stuff. Everybody has a natural inclination to hear things a certain way so some of it will be that. Like I said, I’m mostly working on Pop and Rock or Alternative music which are predominantly drums, bass, guitar, keys and vocals. All of those things retain or have, inherently within them, a lot of mid range information. That’s kind of the bottle neck as far as frequencies and that’s generally where all the musical information is going to be. The snare is going to have that mid range, the guitars are going to have that midrange and the vocals are certainly going to have that mid range so you have to carve enough space for each of those things to have their power and attack but not fight against each other. I’ve been doing this long enough to have basically heard every pair of speakers on the planet [Laughs] and the ones that I stick with now are ATC’s, it’s a well respected UK brand, and for my money they make the best speakers in the world. They have mid range detail and enough bottom to know where I am so I don’t use a sub and a un-hyped top. I have a pair of NS-10’s like everybody else just to sort of check mixes on and I’ll also use Avantones which are the little box speakers because they’re sort of limited in their frequency range. It’s all about that mid range detail, feeling the vocals and feeling the power of the beat. So it really helps having speakers that translate as nicely as the ATC’s do. If I’m working in-the-box than it takes me around a day and a half per track and it probably takes me 50% longer to work in-the-box than it does to work on a console. Part of that is not being restricted to the box but because I’m looking at stuff on the screen and moving tracks around or similar things to that. So yeah it takes me a day or so and then once people start to give me comments, maybe another couple of hours where I’ll be adjusting it based on the client’s comments. And what do you do when you can’t get the mix into that sweet spot where it feels right? I take a lot of breaks, if you condensed the time than it would probably be 7 or 8 hours for the mix. I spread it out over a day and a half because I have to take ear breaks a lot so I’ll go and have a coffee or I’ll go for a walk and I’ll come back. Often I’ll leave the track overnight because I’ll come in the next day, listen with fresh ears and everything that I was concerned about will almost be immediately apparent to me – having been away from it for the night. I’ll often leave my mixes up overnight and be able to finish it in the morning within an hour and a half or two hours because I’m fresher and not fatigued for listening to it for a long period of time. All the issues that were bugging me, will be really obvious so that’s kind of how I get through that. Speaking about ear fatigue, what are your monitoring levels usually like when you’re mixing? Generally I’ll listen loudly at the start of the mix to get a bit of excitement, but for most of the time I’ll be listening pretty quietly. I don’t listen loud only because I can’t; it just tires me out to have to listen loud all day. Every now and then I’ll give it a blast at full volume just to make sure that I’ve still got the energy in the low end and the crack in the mid range but I’d say 80% of the time, I’m listening very quietly. I’ll often listen to a signal speaker in mono as well because it helps me with pan perspectives and relative balances listening on a single source. What is normally on your mix buss? So ITB, I tend to switch them around a lot. Right now I’m looking at a session that I’m working on and I’ve got a Digidesign Reel Tape Suite which is like a saturation plug-in. I use the McDsp ML4 which is a multiband compressor, the Sonnox Oxford Inflator and also the Sonnox Oxford Limiter. So yeah those are my mix buss options and sometimes I’ll have EQ on their which right now is the Massenburg 5 band. Do you mix through all of that? Once I’ve got the balance, I’ll stick them all on fairly soon so I will mix through them and adjust all of that as I go. I might have to adjust the tape saturation or the Mix Buss EQ and I kind of like the ML4 multiband at the moment but maybe on the next project I’ll use something else. I switch it up a lot. So as of right now, what are your favourite ITB Compressor and EQ? I switched over to Universal Audio a couple years ago because I had an interesting experience where I recorded a session on a Neve 88RS Console in London. I did very, very quick rough mixes on the console, at the end of the recording session. I came back to my studio to mix it properly (If you like) and used all the plug-ins that I would normally use but I couldn’t get the same vibe that I had from the rough mixes. I probably spent less than 10 minutes per rough mix on the console and in frustration (at myself) I borrowed a UAD Box and inserted the Neve 88RS Channel Strip on every channel in my Pro Tools Session. In a way I was replicating the 88R console that I had done the tracking on. Amazingly I was able to match the rough mixes in about 2 hours for the entire album and then go on to beat it and improve it. So to me, that was a real shift in approach because I hadn’t really been aware of a plug-in that was so closely matched to the original hardware until I did those mixes. So to answer your question I use the Neve 88RS plug-in a lot and I use some Soundtoys stuff, some McDSP. I use the EMT 140 and the EMT 250, again the UAD ones. What else? I’m looking at a session that’s open now [Laughs]. I use the Sonnox Oxford stuff too but that’s about it. I did exactly what everyone else does where you buy every plug-in and get impressed by them all but I found in the last year or two that I’ve started to limit my plug-ins to a few really key ones and I tend to stick with those now. Too much choice, creatively, is never a good thing. Too many tracks and too many choices with plug-ins just stops you from making decisions and from moving on. So you mentioned the Neve 88RS and that you put it on every track, is that something you still do today? I don’t know if I put it on every track but I’ll certainly use it on bass and vocals alongside other things. I also use the UAD 1176 collection and the LA2A collection; those are some great compressors that I like using. Again, it’s just because I’m so familiar with the hardware and they are very good approximations of what the original hardware did, at least enough for me to get the vibe of that. I’m not one of those guys that’s in a lab type of environment where I A/B between the original hardware and the plug-in. To me it’s just about the flow you get and the sound you want and then you move on. So I’m sure there will be people who are in a better place than I am and can say that the plug-in is not quite the same thing and the hardware does this and the plug-in doesn’t. I can achieve what it is that I’m after so I just tend to do my thing and move on [Laughs]. So do you feel that the UAD emulations are the best you’ve heard compared to their hardware counterparts? Yeah, I would say that. As well as Softube and the Abbey Road plugins too. There are lots of people out there making some really great tools but I’ve found a group of tools that help me do what I want to do. So unless something else comes along that really blows me away, then I’m pretty content where I am. Like I said, I think too many choices would slow the process down for me. Mixing is interesting because it’s a kind of balance between an artistic process and a technical process. I try to focus more on the artistic process, the instinct, the feel and the spontaneity of achieving what you want from a balance. I want to keep the excitement of that so I spend less time on the technical stuff like going through plug-ins and trying a million EQ’s just because I can. As long as I can get to where it is I want to than I don’t spend too much time going through multiple options because I’ll lose focus. Tell me your thoughts on automation like what would you use it on and how much are you using? Everything that I do is automation. Pretty much every channel is automated. I mean I’ll use compressors for color or to hold a signal and sometimes I’ll use them in serial. On a vocal I might have two compressors but a big part of what I’m do is riding faders between sections to create a lift or feel. I’m riding the bass or riding the vocal as a performance but not using a mouse, clicking the break point and inserting automation but I’ll actually physically ride my control surface fader. If I make a mistake, I’ll go back and do it again until it has that movement and feel that I want. So if you go to the All Automation View, it looks like ants running all over the tracks because there are so many fader rides across everything. Is it mostly volume fader rides? Yeah mostly. The majority of it is volume fader rides. Even things like De-essing a vocal I will do with automation instead of using a plug-in. So I guess as a final question do you have any advice that you could give to a young aspiring engineer? I guess its different now and even though I still work in other studios it’s more difficult because there aren’t as many opportunities to learn as I had. Certainly it’s like that in the UK, I don’t know how it is in Canada. There are very few commercial studios now and obviously everyone has access to a DAW and there are so many options now that didn’t exist when I started out. I would encourage anybody to try and limit their palate, so limit your plug-ins and even limit your track counts so that you are really focused on the core of the song/production as much as possible. Thanks Ali. I know you’re really busy so I appreciate you taking the time to do an interview.